I can’t quite recall how conversation veered to religion, NaMo and Gujarat. He told me he was Muslim, and I asked him if he was Shia/Sunni. (He was a Sunni. I rarely find Shias in Bangalore) He told me how he hated NaMo but had now reconciled to him and preferred him much over Congress. (This was in October 2014) I had heard propaganda about Gujarat Muslims preferring NaMo. But he was not a Gujarati but from UP. Incredulous, I asked him why. He told me that NaMo had spoken for Indian Muslims – ‘Indian Muslims will live for India, they will die for India’. Who would have thought, something I put aside as tokenism, means something to some others. This auto driver was quoting NaMo verbatim. He is silent for a minute. I almost think he has not heard me properly over the din of the Bangalore traffic. But he responds. ‘It is possible. But I have to believe. I have to start with belief’. Fair enough. Don’t I say that too, I thought. We talk bit more religion before I swiftly change subject; I have learnt my lesson not to discuss deeper theological/religious issues with strangers. We meander and talk about Ramses, Tutan Khamen and other pharaohs of Egypt. He used Hindi terms such as mistra and I had no difficulty in following it. He asserted in his belief in the end of the world (!) and referred to Bhagwat Geeta – something I believe was an inaccurate reference. I didn’t correct him. I was about to reach home. When I am embarking off the auto, he tells me bit obligingly, you have good knowledge. I smile and return the compliment. 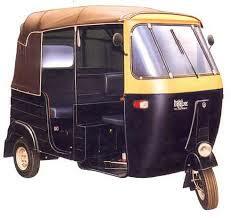 It was certainly most memorable auto ride in Bangalore solely because of the conversation. (Only other memorable auto ride would be the one in Pune when I had an accident.) Strangely, the auto driver’s optimistic position on NaMo (more optimistic than mine) was a cheerful thought. Just had a conversation with Muslim auto driver: him telling me about Hindu mythology, how he prefers Modi (!) , stories of Egypt Pharaohs. Very interesting. I don’t think I would be able to talk much about Pharaohs. 😉 Only what I learnt through my readings of a few fiction books based on the times. @Thandapani @Dinsan First of all, I am amazed to see your comments first thing in morning. I wrote this post in dead of night and haven’t posted anywhere. You have to be my oldest readers. This post is just prelude to some other bombastic conversation we had. I’ve skipped it since it needs its own blog post. That I’ll write tonight. This is quite interesting, Poonam. Waiting for the next bombastic post.